Ondeh Ondeh is one of the traditional snacks originated from Indonesia. 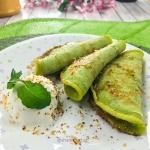 Over the years, this delicious treat has became so popular that it inspired new extension of recipes such as Ondeh Ondeh cake, cupcuke, churros and eclair! Mdm Zaiton Thamby created her very own version of Ondeh Ondeh Pancake and she impressed the judges during her recent cooking competition organised by World Kitchen here in Singapore. She was crowned champion in this hotly contested home cooking recipes competition. Every bite is filled with the fragrance of shredded coconut and oozing sweetness of palm sugar. Adding gula melaka and a scoop of sinful ice cream, this dish is truly a fan favourite amongst the sweet tooth foodies out there. Get ready your next trip to the dentist! 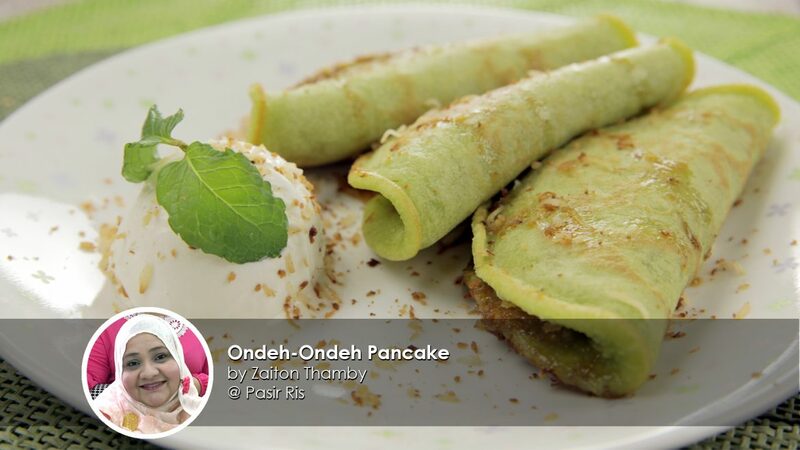 But before that, Ondeh Ondeh Pancake full recipe right below! In a saucepan, heat up water. Add in gula melaka, pandan leaf and salt. Once the gula melaka have melted and thickened slightly, remove from flame and let cool. Set aside ¼ cup for garnish. Once the remaining has cooled down, add in shredded coconut and mix well. Set aside. Mix all the pancake ingredients in a bowl. Whisk till smooth, set aside. On a heated frying pan, add in a tsp of butter. Swirl the pan until it has fully melted. Pour in ½ ladle of pancake mixture. Once it is half-cooked, add in some coconut filling in the centre. Flip to cover up the filling and make a semi-circle shape. Once it is fully cooked, transfer to plate. Repeat the steps for the remaining batter. Lay pancakes on the serving plate. 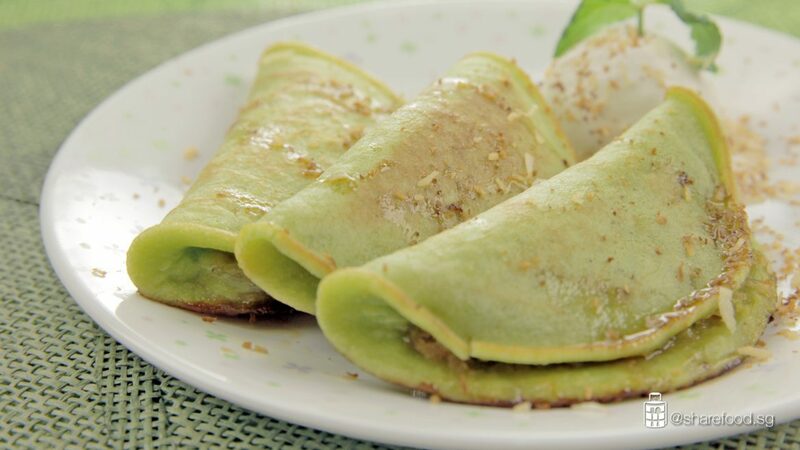 Place a scoop of vanilla ice cream on the side and drizzle melted gula melaka and toasted coconut on the pancake. Garnish with mint leave. Thinking of what's cooking next door? 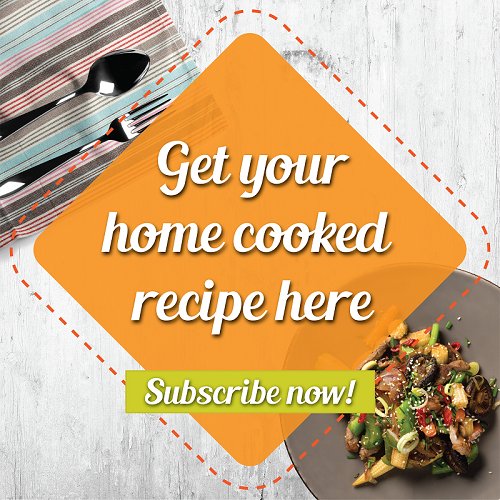 Check out "Food Near Me" on Share Food mobile app to discover other amazing home cooked dishes near you!